I'm trying to remember a movie. The only thing I remember clearly is that there were modern explorers in a land or time that resembles ancient Rome or Greece. 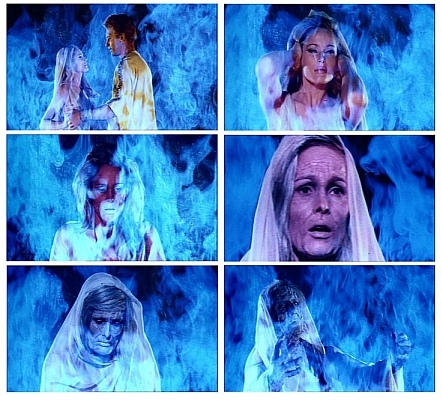 At the end of the movie during a disaster there is this young woman who enters a chamber or something with flames and when she comes out she is old and dies. The "modern explorers" looked like from the 50's. This may be the 1965 movie adaption of H. Rider Haggard's She, starring Ursula Andress. Not the answer you're looking for? Browse other questions tagged story-identification time-travel time or ask your own question. Identify a story about a magic string-box? I can't remember ancient alien/astronaut children's book that has to do with Greek mythology I read. Help! Can you please identify a movie/telefilm in which a princess needed true love's kiss to revive from a poisonous apple?